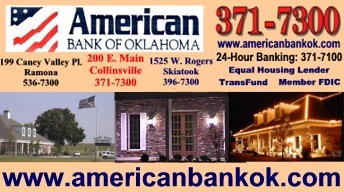 Oklahoma's weather was this year's winner in the American Bank of Oklahoma Classic scheduled to be played last week. Rain, snow and cold temperatures forced the cancellation of the classic. Upon the cancellation Coach Reeder was able to schedule two games for the Cardinals that were played Saturday, March 25th, in Grove. In the first game the Cardinals played the 11th ranked Grove Ridgerunners and emerged victorious in a hard fought extra innings game by a score of 8 to 7. The Cards were held scoreless in their first two at bats and found themselves trailing one to nothing. However, in the third inning Collinsville scored twice to take a two to one lead. Jonathan Bewely drew a two out walk and raced home when Josh Walker tripled. Walker later scored on a Grove passed ball. The Cardinals scored four more times in the fourth inning. Brad Aguillard led off the inning with a home run to right field. Alex Belitz walked on four straight pitches and Shawn Curtis followed with a single. Tyler Nair's sacrifice bunt moved both runners one base. The Cardinals were able to score three times as Walker, Chester, Phillips and Coe drew consecutive walks. The Cards were unable to score in the fifth, but scored a run in the sixth on David Chester's solo home run. In their half of the sixth Grove managed to score four runs to narrow Collinsville's lead to two runs. The Cardinals were unable to score in the seventh and Grove pushed across two runs with two outs to tie the score and send the game to extra innings. Neither team could score in the eighth. In the ninth Kevin Phillips singled and went to third on Ryan Coe' double. Brad Aguillard brought the winning run home on a sacrifice fly to left field. Josh Walker pitched five excellent innings and allowed only one run while giving up one hit and walking one. Jonathan Bewely picked up the win pitching the final three innings. Walker, Belitz (6), Bewely (7) and Coe; HR: Aguillard, Chester (6). Curtis, Guest (2), Keith (4) and Coe. The ninth ranked Miami Wardogs defeated the Collinsville Cardinals in the Cards second game of the day by a score of nine to one. The Cardinals scored their only run of the game in the top half of the first inning. Tyler Nair led off the game with a walk and raced home when David Chester doubled. Miami countered with a run in their half of the inning and added four more runs in the second, two runs in the fourth inning and two more runs in the sixth. The Cardinals continue to play some of the top teams in the state this week, traveling to Oologah on Monday to play the number one ranked Mustangs. On Wednesday they travel to Pryor to play in Pryor's annual tournament.